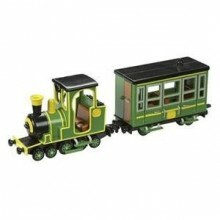 The Greendale Rocket Collect both the trains from the hit TV show Postman Pat. Choose from the classic Greendale rocket or the new Pencaster flyer! Both vehicles are free wheeling and can fit your Postman Pat figures inside enabling you to create your very own Greendale adventures. 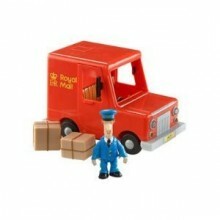 Postman Pat vehicles. Help Pat and his friends travel around Pencaster. 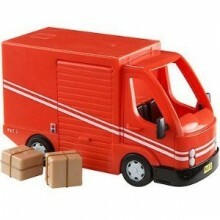 Collect the SDS Van, Postman Pats Van, Ted Glens Truck and the SDS Helicopter. 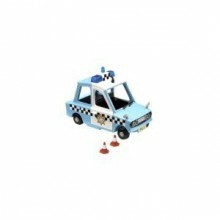 Press the button on the tops of the vehicles to hear the SDS theme tune and phrases from various characters. 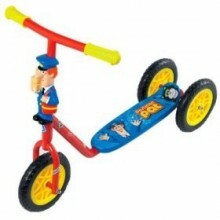 Each come with accessories and free wheeling wheels. Requires 2 x AAA batteries included for try me only.